Thurrock Entertainment Network is set up to share the views and interests of people living in and around Thurrock. 1. Have Your Say: Your views and reviews. 2. TEN TV: Watch and share great videos. 3. TEN Radio: Incorporating TLS Radio and Music Videos. 4. 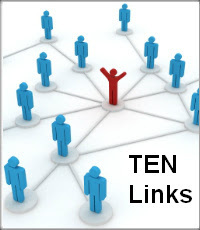 TEN links: Our top 10 favourite Thurrock web-sites. If you have any ideas to add, feel free to contact Lee Castle at: TEN-TV@choiceandcontrol.co.uk. Thanks! This Thurrock Lifestyle Solutions web-site hopes to appeal to people of all abilities living in or around Thurrock. Click the pictures below for some quick links.